Beautiful scenery, relaxing accommodations, luxurious amenities and a sizzling schedule of exciting events are all waiting for you at Now Resorts — so you won’t want to miss out on this latest deal! Our Hot Hot Hot promotion is officially underway. Hotter than the sun, our latest promotion will let you take the perfect family vacation to Now Resorts! 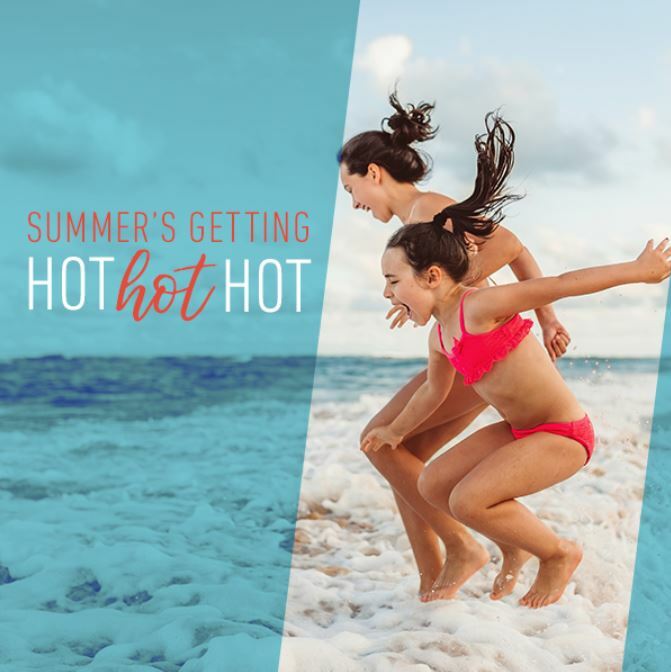 With Hot Hot Hot, you’ll enjoy savings of up to 40% on your Now getaway. Plus, “Suiten” up your stay with room upgrades starting at $25 USD based on availability and up to $200 USD in resort coupons! To take advantage of this latest special offer, book now through September 11, 2018 for travel now through December 22, 2018. We can’t wait to welcome you to paradise, so don’t wait — now’s the time to make your vacation plans! We’ll see you soon at Now Resorts! This entry was posted in Now Resorts & Spas and tagged hot hot hot, special offers, special promotions. Bookmark the permalink. ← #FlashbackFriday – Fourth of July at Now Resorts & Spas!